Writing about the fruit of the Spirit has been eye-opening to me. It started as something simple, but God is using it to convict me and grow me. I love how His Word is living and active ... that verses and concepts I've been reading my entire life can still teach me and change me. Self-control ... temperance ... moderation ... self-restraint ... forbearance ... patient endurance ... abstaining from the enforcement of a right. 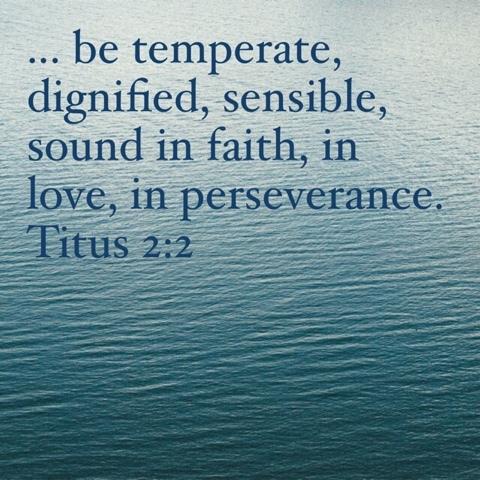 The definitions for this fruit of the Spirit seem endless. I used to think of it simply as not giving in to things we long for and lust after. Self-control ... skipping the birthday cake and munching on pickings from the fruit and veggie trays, right? That is a form of self-control, but I think the one that stood out to me was abstaining from the enforcement of a right. Not just giving up those things which are at worst sinful, or at the least not profitable ... but giving up something you have every right to. Sometimes we call it "paying it forward ..." when someone dings your car and you choose not to file on their insurance. When there is a choice between the "right" thing and the "forgiving, loving, selfless, and also-right thing" and you choose the latter. 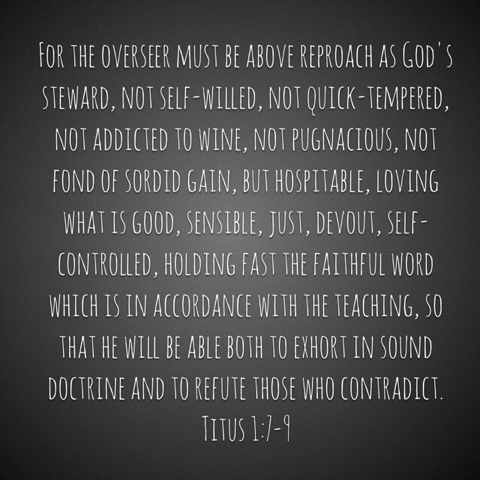 Self-control isn't just listed in the Bible as a fruit of the Holy Spirit living within us ... it is frequently a suggestion of how to be a Christian and example of Christ among others. How to stand out AND show love at the same time. What it really means to live IN the world without being OF the world. In some cases, for certain kinds of service within the early church (and many today) it is flat-out a requirement. Why? Why self-control? 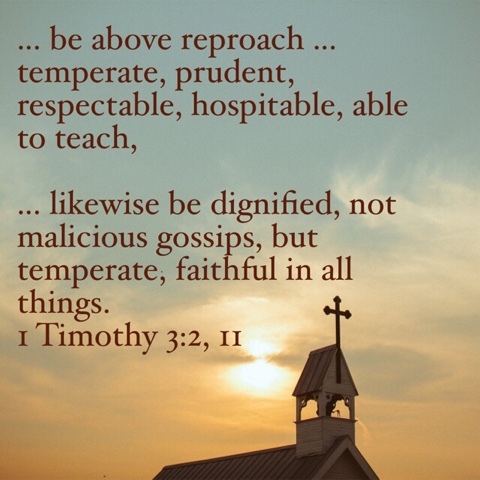 It is easy to see when it affects someone else how turning the other cheek could influence someone who doesn't know and has a misconceived notion of what a Christian is ... but what about in my private life? Self-control takes practice. Letting the Spirit move instead of your passions isn't easy (especially if you have any Irish blood if you know what I mean). In the end, self-control isn't just about having control over yourself ... it's about controlling that mean ol ugly self so the Spirit can shine instead, bringing Glory to God. 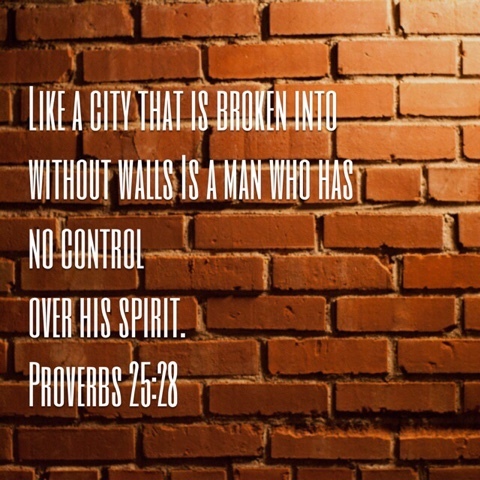 When the self gets out of control, Proverbs warns we are vulnerable to attack. It is sometimes hard to see self-control as a priority when our other priorities are "right" in our heads. 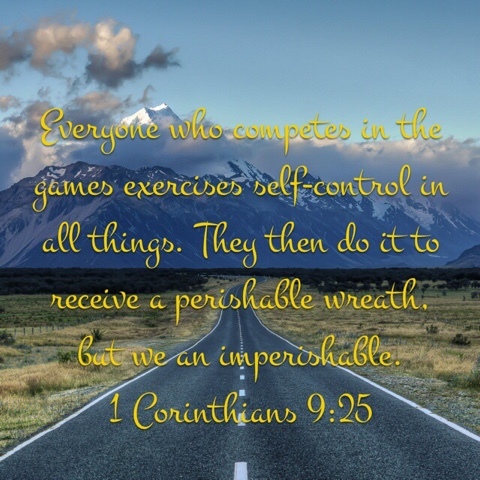 We love God, we've accepted Christ, we're doing good works for others ... why all this "self-control" nonsense? If I'm trying not to sin isn't that enough? The fact is, our comfortable lives often make it hard to see the seriousness of the battle roaring around us. What we do, and don't do, and the lives we can win over (or turn away) are being grappled over in an epic unforeseen struggle. The outcomes are eternal. It is very serious. Everything that we do should be tempered with what is most glorifying to God; what best keeps our lives from being misleading or irrelevant. Where can you begin to practice more self-control? 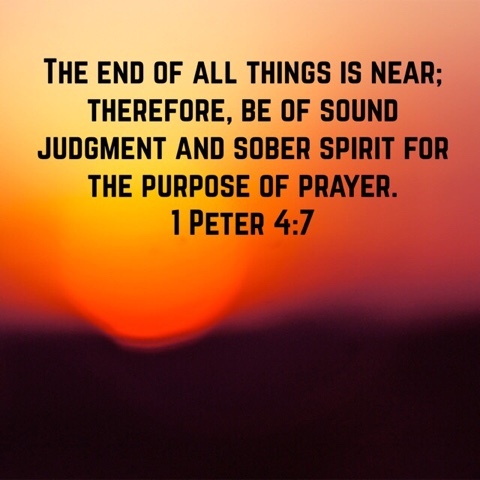 If I can't keep myself from drinking too much, eating too much, blowing up at friends and family, how will I be able to be diligent in prayer and receptive to the Spirit's leading?